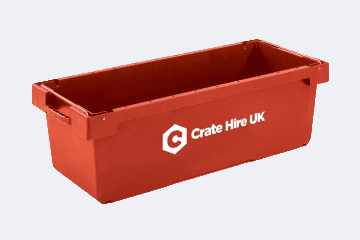 ☆ Hire & Buy Crates Online Today! ☆ Fast Next Day UK Delivery! Everything you need to make your Office or Home Move Easy. 100% spot on service, easily the most simple process I have ever used, delivered on time, collected on time, all costs calculated at order time, pay by card and forget it, job done. We've got everything you need for an office move. Our crates are flexible, stackable and highly effective. We've got everything you need for your house move from plastic crates to bubble wrap. When it comes to moving home or office we’ve got all of your crate hire, packaging and storage needs covered. We supply heavy duty plastic crates that come in a wide variety of sizes that are both versatile and practical; ideal for packing your valuables into. Our removal crates are sturdy plastic, not cardboard, meaning your contents will be stored safely and less prone to damage during your move. Rent our heavy duty moving crates online and we will deliver them direct to your home or office, at a date and time that is convenient for you. With nearly 20 years of personal experience in plastic crates our crate services are designed to help you move and store your items and belongings easily. Our Standard Lidded Moving Crate - is our most popular crate and designed to be tough, secure and easy to handle. 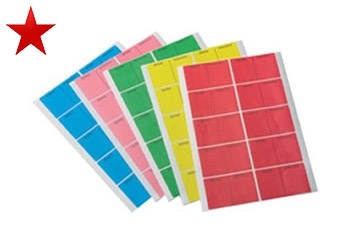 A Sheet of 10 sticky crate labels - helping the users to identify crates and other items during relocation and storage. 10 per A4 sheet in five different colours. 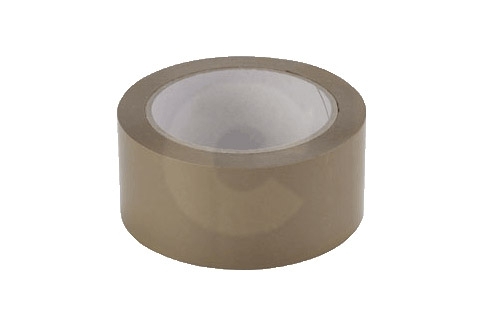 A Heavy Duty Roll of brown packaging tape to help you pack easily. Stick bubble wrap, boxes and general packaging together with a long roll of packing tape. We offer a nationwide next day delivery service (Mon-Fri) as standard, serving London and the whole of the UK, to ensure your move is easy and stress free. For added flexibility, you can collect your crates from one of our regional depots located throughout the country, where you will also find a wide range of removal packaging available, as well as heavy duty crates and moving equipment to hire. Crate Hire UK has been rated the top crate hire company in the UK, by the independent ratings company Trustpilot. 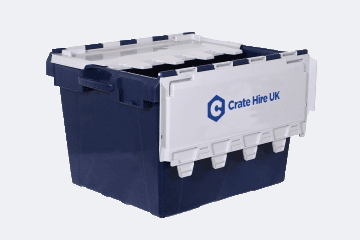 Join thousands of satisfied customers that have made their move easier with Crate Hire UK. You can hire crates easily using our online store or by phone. We look forward to helping you with your move or storage needs. By using our plastic moving crates to move your home or office, you can pack your belongings up to five times faster than regular cardboard moving boxes. Our moving crates remove the hassle of building, flattening and disposing of cardboard boxes, saving you time, money and stress. We hold a huge amount of plastic crates throughout the UK to hire or purchase in many various sizes and colours to meet your own specific packing and storage requirements. 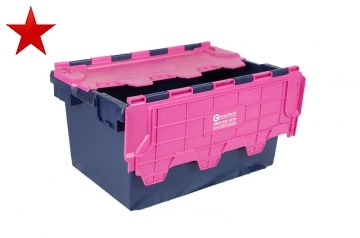 We offer small and large heavy duty plastic crates for sale and rental, perfect for personal belongings, documents and general household or office items, metre long crates, ideal for books or files and computer crate hire for securely moving IT equipment. All of our crates our totally reusable and green to the environment. Tea crates and tea chests have been used to move and store items for near on a century. Where they used to be made from wood, our take on the original tea crates are made from heavy duty plastic giving you added strength and versatility when moving and storing your belongings. Packing your personal items has never been so fast and easy using our plastic packing boxes. To help you lift and handle your home and office crates and other items even easier, we also provide a manual handling equipment hire service through our online store. 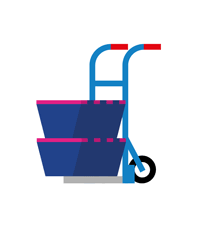 We offer a large range of moving equipment to take the strain out of moving; including sack barrows, moving trollies, cage trollies, secure roll cages, crate skates and moving dollies to name but a few. As well as plastic crates, you can easily buy removal packaging and cardboard boxes for moving house using our online packaging supply shop. It’s really easy to use and we have a wide range of cardboard removal boxes, bubble wrap rolls and packing tape to help you protect your items in storage. We offer a fast next day service as standard or alternatively you can click and collect your boxes and packaging from one of our regional depots today. If you would prefer to collect your crates from us, we have 7 regional crate depots located throughout England and Scotland, where you can click and collect your hire crates and moving supplies for free. Our crate depots are located in the following cities. Buying and Renting moving crates and boxes couldn’t be easier, so don’t rent a crate or make a move without Crate Hire UK! 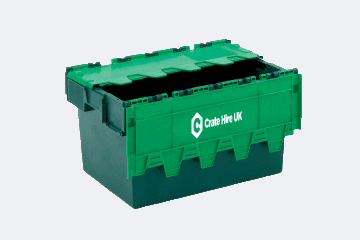 At Crate Hire UK we provide premium crate hire and plastic crate sale services, at affordable prices, throughout London and the UK. 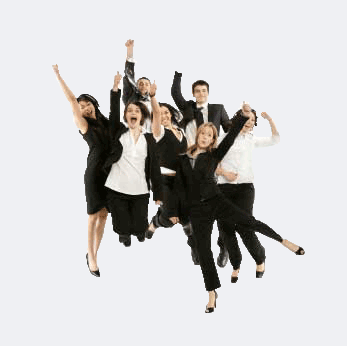 We understand the pressures of moving and relocating a business or home. Thanks to years of experience, we have created a user friendly crate rental, removals and packaging service, designed to make your move simple and painless. From our cutting edge online store, you can hire crates and purchase removal boxes and packaging for your business or home move with ease. Our nationwide next day delivery, combined with large stocks of removal crates, cardboard boxes and packing materials, mean you get the products you need, delivered on time, every time! We work with a range of customers throughout London and the UK, supplying both the domestic and commercial markets with plastic storage crates, handling equipment and packaging. Our business clients include Governments, Councils, Solicitors, Schools, Colleges, Universities, Hospitals, Libraries and Facilities Management companies to name but a few. "We understand the pressures of moving or relocating a business, office or home"
As one of the fastest growing one stop moving packaging shops in London and throughout the UK, we supply a wide range of domestic customers and industrial sectors with plastic storage crates, handling equipment and packaging. Our business clients include Governments, Councils, Solicitors, Schools, Colleges, Universities, Hospitals, Libraries and Facilities Management companies to name but a few. All looking for reliable and affordable removal crates and packaging to help them move in the Capital and Nationwide. 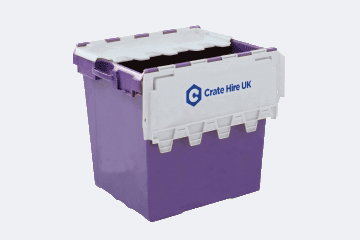 Our plastic hire boxes and packing crates arrive at your required delivery location clean, nested and ready for packing and with our crate porterage service we can even deliver to a certain floor level or even a specific department. Our incredible delivery and collection service ensures planning your move is made as easy as possible by allowing you to book your crates in advance or for next day delivery. Renting your plastic crates makes perfect sense, as the packing crate rental option means there is no need for a large capital outlay, allowing you to be completely flexible in the exact number of boxes you require for your storage and relocation application. This great solution lends itself to predictable and cheaper costs which also leads to our customers having "peace of mind". So whether you are looking to rent a crate or buy cardboard boxes and packaging, we have got it all. We offer the most comprehensive range of plastic moving crates and removal packaging in the UK to carry out an office move, long term storage, internal relocation or a move to a new home. If you are looking at ways to handle and move your rental crates with ease we have a good range of handling equipment for you to hire or rent. 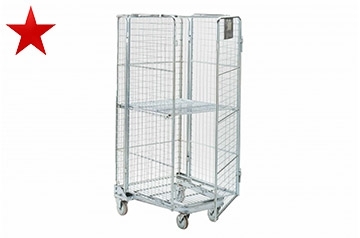 Our crate handling equipment includes roll cages, crate skates, crate dollies, sack trucks and library trollies specifically designed to compliment and allow for easy handling of our crates. We also provide a wealth of information that shows you how to easily order or rent moving equipment from us. Our comprehensive range of different sizes and types of plastic removal crates help to make your move effortless. Our packing crates are ideal for moving offices or moving home as they are extremely strong, robust and very easy to handle. Designed and manufactured to industry specification our hire range includes unlidded or lidded crates, computer crates, personal crates and even crates for moving books. We now also supply barcoded crates that can be used with any barcoded scanners to help you track and account for all of your moving crates easily. This helps our customers to be confident that any crate losses can be minimised and any other crates hired from another crate hire company can be easily identified as not being pert of the order. Everyday our plastic packing crates are delivered all over the country and arrive clean, nested and ready for use. They are easily stacked on top of each other when full and nested whithin each other when empty, helping you save much needed space when relocating an office or moving home. 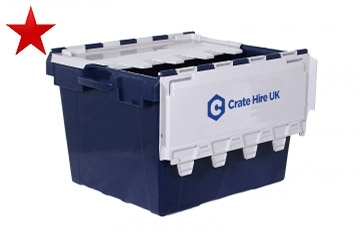 Please see our range of hire crates below. If you still cannot see what you are looking for please contact us to discuss your crate rental requirement further. The smallest crate in our range and perfect for moving personal items and belongings securely. This hire crate is extremely easy to handle due to its size and integrated lifting handles. Designed to move and store items that are A4 in size or smaller like desk contents, brochures or magazines. Easily securable using our crate security seals. Our medium sized crate also known as the "stair crate" is a compact lidded moving container ideal for easier handling on stairs as it removes the associated health and safety risks. With its integrated lid it is easily secured using our crate seals and is a popular crate with our customers who are having to move locations with many stairs. The standard lidded packing crate is our most popular crate and synonymous within the removal industry for easily moving offices and homes. Strong, weatherproof and robust it provides excellent protection for all of your belongings and items and is easily secured using the attached lid using plastic cable ties. 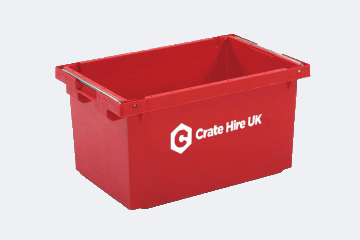 A great all round hire crate! An unlidded standard packing container designed for efficient packing of goods where security is not as important. The unlidded crate has integrated metal bale arms on both short ends which allows the crates to be stacked on top of each other when full and nested inside of each other when empty. A good work horse for your moving requirements! The unlidded metre long packing crate also known as the "book mover" is ideal for effectively relocating, moving or storing books and lateral filing systems. Great for moving libraries and bulk storage the metre crate is strong and robust with metal bale arms for stacking and nesting. Ready to do the hard work this crate will not let you down! Just like the unlidded version, the lidded metre long packing crate is perfect for relocating libraries or large lateral filing systems with added protection of an attached lid which can be easily secured using our crate seals. If security of contents is important, then this crate is a good choice for bulk storage and easy moving of valuable books or sensitive files! 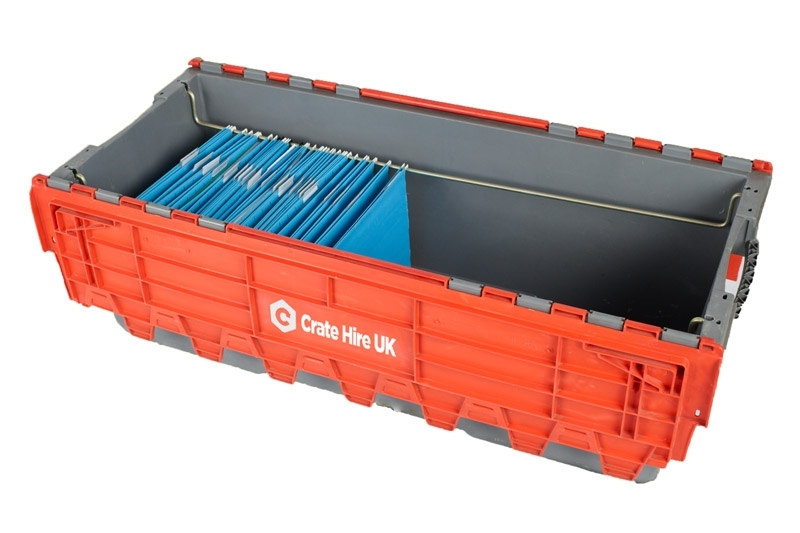 Just like the unlidded version, the lidded metre long packing crate is perfect for relocating hanging files and large lateral filing systems with added protection of an attached lid which can be easily secured using our crate seals. Our new crate allows for your hanging files to hang from their own bars within the crate for simplicity itself. Our IT Computer Server Packing Crate makes moving critical servers from one location to another easy. It's large capacity makes it ideal for moving servers, monitors, keyboards and cables in a safe and secure environment. We recommend our anti static wrap to further protect electrical equipment from static charges. Do not attempt to move servers without one! The IT Computer crate has been designed to easily move whole computer workstations including , flat screen monitor, keyboard, mouse and cables. Its attached lid allows for safe and secure protection in transit and storage. With integrated ergonomical handles on both short sides, handling is easy. A must for moving offices! Please rent a crate and book all plastic moving crates through our online crate rental booking service. 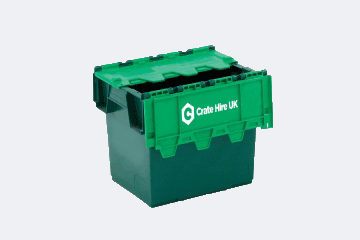 Crate Hire UK not only provides plastic removal crates to book online but also allows you to purchase cost effective cardboard removal boxes and removal packaging to help with moving your home or office. Our extensive range of removal boxes and packaging provides an affordable solution to moving or relocating both business and house. Our packaging products are manufactured to industry standards to ensure strength and reliability upon use. Our cardboard moving boxes are double walled for strength and are delivered flat packed. The cardboard boxes are easy to build for you to start packing your essentials and personal belongings. 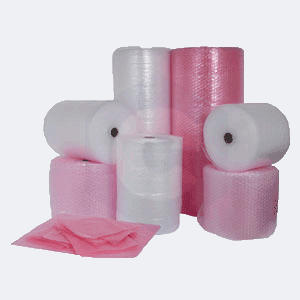 Our range of removal packaging includes industrial packing tape, packing paper, floor protection, furniture covers, bubble wrap, mattress bags and stretch wrap. 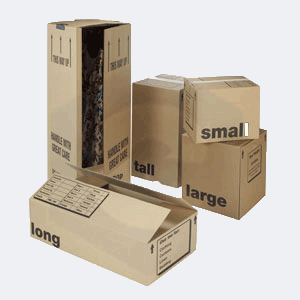 Please see a selection from our range of cardboard removal boxes and packaging below. If you can't see what you are looking for, please contact us directly to discuss your crate and packaging requirements further. We supply various sizes of removal cardboard boxes and cardboard moving boxes to transport and store all different items. 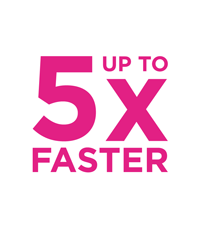 From small boxes for heavier objects including books and folders to large removal boxes for lighter, bulkier possessions that need less support. Our double walled boxes provide extra durability and strength in storage and transport for extra peace of mind! 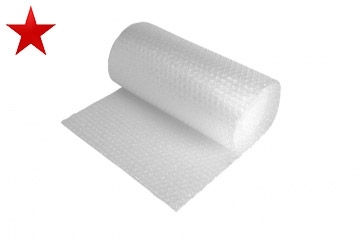 We provide bubble wrap for packing and protecting your valuable items when being transported or stored. The bubbles or pockets of air offer good protection against general knocks and bumps. We supply a standard sized bubble or larger air pockets for added protection. The larger bubble wrap is less versatile than our standard bubble wrap rolls. We supply a complete range of removal packing tape for moving home and office. Our rolls of adhesive heavy duty packing tape are ideal for building and securing cardboard removal boxes, securing bubble wrap and packing paper to help pack your items securely and safely. 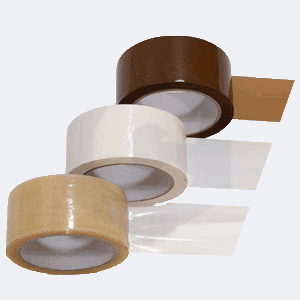 We supply different types of packing tape including polypropylene, pvc and masking. To buy our cardboard moving boxes and removal box packaging please visit our removal boxes and packaging section for moving home or office. We offer a premium next day nationwide delivery service as standard so if you are moving home or office you can rent a crate from us and you will receive your products on the day you need them! You can choose the date of delivery when booking your crate rental or purchasing your removal packaging in the online shop. In addition you can also book a one hour time slot for hire crate deliveries to ensure you are able to accept and sign for them. Our standard delivery is next day on all orders placed before 5pm unless otherwise specified when booking your products online (Mainland UK only). 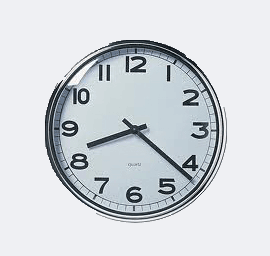 All our deliveries and collections are carried out between the hours of 8:30am to 5:30pm Monday to Friday (exc. Bank Holidays). Typically crate rental deliveries are carried out in the morning between 8am and noon, whilst collections are typically carried out in the afternoon between noon and 5pm. However we only guarantee that your crates will be delivered between 8:30am and 5:30pm. 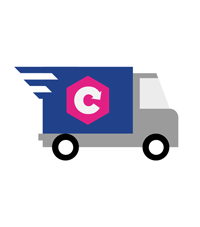 Our delivery and collection charges vary depending on your location. Our online booking system will allow you to enter both your delivery and collection location and provide you with a transport charge applicable to the service or product you are booking and all before any payment has been made. Our customers can also benefit from our special crate delivery options including same day and timed deliveries. Charges apply to these special delivery options when chosen. Timed crate deliveries are available to book when booking through our online shop for an additional charge of £35. If you need sameday crate delivery then please contact us directly for additional costings and availability. Another addition to our highly reliable delivery service is our inclusive crate porterage service which delivers your moving crates to the exact required drop point. Whether you need your crates delivered to a certain floor, area or department just let us know when you are booking crates online and we will be only too happy to oblige. If there is a lift available to us for delivery purposes please also ensure you state this when booking your crates online. 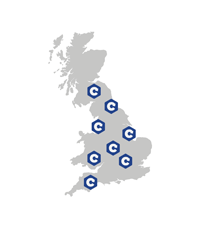 Having access to 8 national crate rental and removal packaging centres supplying rental crates to England, Scotland and Wales, it gives us the ability to offer our customers a Pick Up and Drop Off service from the following city locations Bristol, Durham, Livingston, Manchester, Birmingham, East London (East), West London (West). 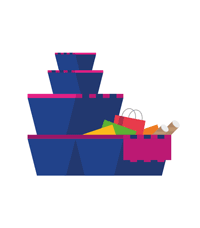 To book this service, just select a collection and delivery depot when booking your crates online (please allow a minimum of 30 minutes after you’ve placed your order before collecting your crate order from our rent a crate service centres). Monday - Friday 8:30am - 5.30pm (please note our crate service centres are closed on weekends). You can find your nearest local depot here. 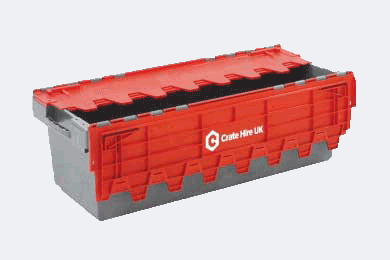 If you need further assistance with our crate pick up and drop off service please contact us directly at Crate Hire UK. We deliver to all UK cities including Aberdeen, Bath, Birmingham, Blackburn, Blackpool, Bolton, Bournemouth, Bradford, Brighton, Bristol, Bromley, Cambridge, Canterbury, Cardiff, Carlisle, Chelmsford, Chester, Colchester, Coventry, Crewe, Croydon, Darlington, Dartford, Derby, Doncaster, Dorchester, Dudley, Dumfries, Dundee, Durham, Edinburgh, Enfield, Exeter, Glasgow, Gloucester, Guildford, Halifax, Harrogate, Harrow, Hemel Hempstead, Hereford, Huddersfield, Hull, Ilford, Inverness, Ipswich, Kilmarnock, Kingston, Kirkcaldy, Kirkwall, Lancaster, Leeds, Leicester, Lincoln, Liverpool, Llandrindodwells, Llandudno, London, Luton, Manchester, Medway, Middlesbrough, MiltonKeynes, Motherwell, Newcastle, Newport, Northampton, Norwich, Nottingham, Oldham, Oxford, Paisley, Perth, Peterborough, Plymouth, Portsmouth, Preston, Reading, Redhill, Richmond, Romford, Salisbury, Sheffield, Shrewsbury, Slough, Southall, Southampton, Southend, St Albans, Stevenage, Stockport, Stoke, Sunderland, Sutton, Swansea, Swindon, Taunton, Telford, Torquay, Truro, Tunbridge Wells, Wakefield, Walsall, Warrington, Watford, Wigan, Wolverhampton, Worcester and York. Including the English shire counties, Buckinghamshire, Cambridgeshire, Cumbria, Derbyshire, Devon, Dorset, East Sussex, Essex, Gloucestershire, Hampshire, Hertfordshire, Kent, Lancashire, Leicestershire, Lincolnshire, Norfolk, Northamptonshire, North Yorkshire, Nottinghamshire, Oxfordshire, Somerset, Staffordshire, Suffolk, Surrey, Warwickshire, West Sussex and Worcestershire. We supply rental crates to the whole of London. Our Crate Rental London service includes Central London, West London, East London, North London and South London incorporating the boroughs of Barking, Dagenham, Barnet, Bexley, Brent, Bromley, Camden, Croydon, Ealing, Enfield, Greenwich, Hackney, Hammersmith, Fulham , Haringey, Harrow, Havering, Hillingdon, Hounslow, Islington, Kensington, Chelsea, Kingston upon Thames, Lambeth, Lewisham, Merton, Newham, Redbridge, Richmond upon Thames, Southwark, Sutton, Tower Hamlets, Waltham Forest, Wandsworth and Westminster. Moving a home or business in the great Capital is simple by using our London crate and box booking service online or speaking with our customer service centre over the phone. 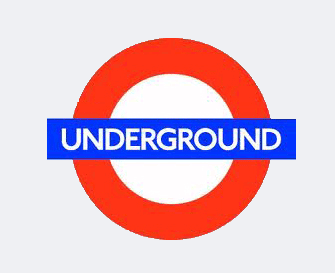 London Crate hire is an essential service to help the Capital move. So its safe to say wherever you are in the UK, you can use our great rental crates and packaging services! 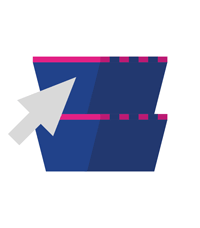 *To keep delivery and collection charges to a minimum we will occasionally use the services of our crate partners and therefore crate colours are subject to change. Plastic packing crates and removal boxes are extremely versatile for packing and moving items and possessions easily and securely. Here are a few good reasons why plastic crates are used for relocating businesses and moving home. Plastic removal crates are eco friendly to the environment as they can be recycled at the end of their lifecycle. Plastic removal crates are reusable and therefore do not create any waste. Plastic packing crates are extremely hygienic as they can be hygienically washed and are made from virgin raw materials. Plastic packing crates are strong and robust allowing for added security and protection when in transit and storage. 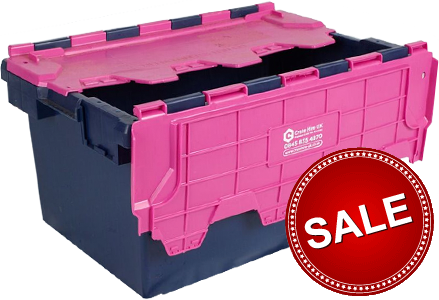 Plastic lidded moving crates are weatherproof and protects your belongings against adverse weather. Plastic packing crates are easy to handle due to their integrated handles. Plastic removal crates are nestable when empty and stackable when full saving valuable space. Below are guidelines to using our hire crates to pack, move and relocate your home or office. When filling and packing your crates, please ensure that you do not overfill, as over filled crates cannot be stacked and take up more space. Belongings and items can also be damaged by overfilling. 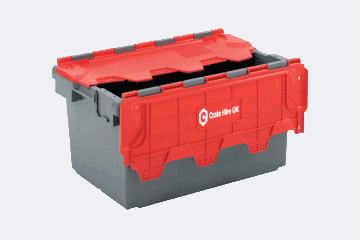 If you are using our attached lidded packing crates, please ensure that the integrated lid can be shut properly for security reasons and stacking purposes. If you are wishing to securely seal the full crates please use our crate security seals. When packing delicate items in the crates, use our packing paper, bubble wrap and packing tape to ensure added protection when in transit or storage. Clearly mark the crate as "fragile"
If labelling the moving crates is required please use our "easy peel" crate adhesive labels on the short ends of the crates. Please refrain from using any normal tape to fix paper labels or seal the crate itself. If you are wanting to pack and relocate computers and IT equipment, please use our IT computer crates (IT1 and IT2) and not our standard moving crates. Our IT computer crates have been specifically designed for moving computers and IT equipment. In the interests of Health & Safety, please only stack the crates 4 high when full to reduce any potential accidents that can happen when over stacking packing crates. Do not use our crates for transporting and storing building materials (i.e. aggregates, bricks and concrete) as this will damage the crates and may incur an additional charge for damage. When receiving our hire crates upon delivery or collection from our depots, it is important that you check and agree with the number of crates and products delivered or collected to avoid any additional charges for any lost or missing crates. A signature will be required for both collection and delivery to confirm the numbers of crates. 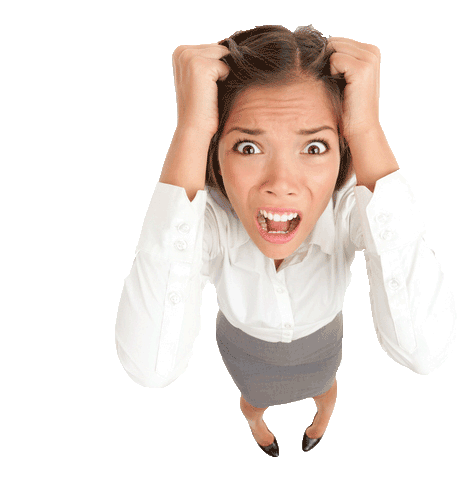 Why Bother With Crate Handling Equipment?